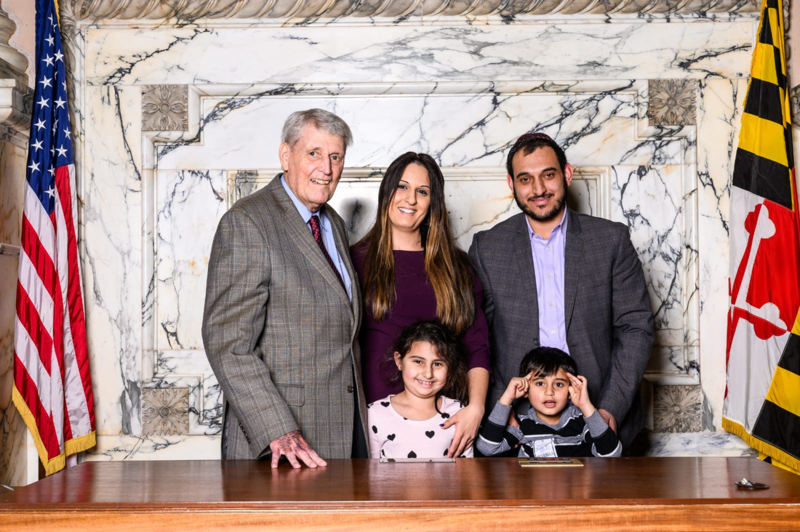 Delegate Dalya Attar, a wife and mother of a 5 year old son and 6 year old daughter, was elected to the House of Delegates in Baltimore City’s 41st Legislative District on November 6, 2018. A first-time candidate, Dalya won the election with the highest number of votes in her district. Delegate Dalya Attar was raised in a working-class Baltimore City family by immigrant parents who came here for greater opportunities. The Delegate watched them struggle to overcome hardships. She is a native of the 41st District’s Park Heights community. Delegate Dalya Attar obtained her undergraduate bachelor’s degree in Criminal Justice from the University of Baltimore followed by her Juris Doctor degree from the University of Maryland. She serves as an Assistant State’s Attorney in Baltimore City with a focus on prosecuting felony narcotics and guns. Dalya believes her hands-on experience assists her in being an effective legislator in Annapolis and representing all of her constituents. She brings a fresh voice to Annapolis with uncompromising boldness and enthusiasm, and she is unafraid to stand up and fight for what Baltimore needs and deserves.